Discussion in 'E21 (1977-1983)' started by SFaikel, Sep 1, 2008. Alright, it may seem harsh, but this is really pathetic. No posts in over a month! I know there are many other sources for e21 information, but the BMW CCA is all about connecting with fellow BMW owners and sharing information. That said, I believe an introductary/show us your car thread is in order. Hello, my name is Spencer. I'm part of the Badger Bimmers chapter and live in Green Bay, Wi. There are six BMW's in my family now but only two are mine, an '89 325i and an '81 320i. The 320i is a summer only car with 77,000 miles on it now. I bought it about three months ago and so far have had very little trouble with it. I found out last week, when looking throught the recipts, that it had an automatic to manual conversion in 2004 but everything looks to be in order. There is a very little bit of rust starting and a week after I bought it someone put a dent in the passenger's door but it's pretty solid. I plan to keep it 100% original and try to make it showroom condition again. She bought this car in December, 1976. I repainted it in 1987, but it needs to be repainted again. When it gets repainted I'm putting on a later lower front valance and an "S" air dam. May or may not use the rear spoiler. Engine is stock, but it has a 5 speed and suspension mods. 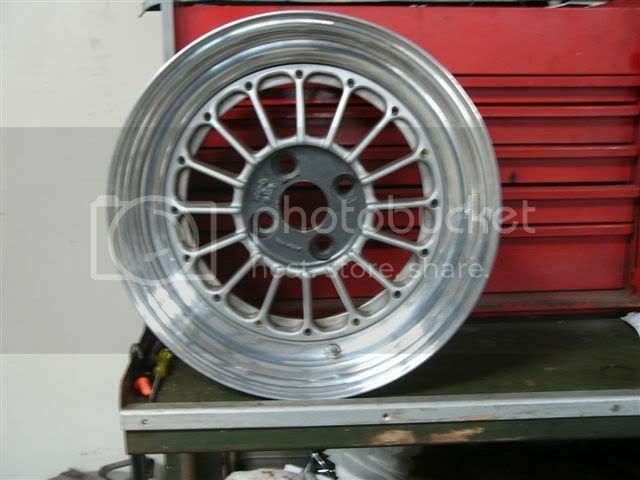 Currently on stock alloys, but have 15x6 imitation "Alpinas". Seats are Recaro LS. Fun car, need to get it back on the road, but there is lots of competition from the other project cars: 67 2000CS, 2 x 72 3.0CS, 2 x 2002s, etc. This is my second BMW. My 2002 is in the process of being restored so I picked up a beater 320i for cheap. The engine is stock for now, but everything else is pretty worked over. Including the custom body work somebody did for me at the mall today. Wanted to know if there is any interest by someone in the group of buying our all original 1980 320S that my son recently crashed....see pictures....very sad....would make a great parts car with all of the original 1800 5 speed, limited slip, stabilizer bars, recaro seats, etc. that it came with....or perhaps someone with a clean hood, right front fender, and other appropriate body parts could put it back together. The car has 154K original miles and is currently located in San Luis Obispo CA where my son goes to school at CA POLY. We live in the SF Bay Area and will have the car driven or transported here if we need to. Any comments or suggestions would be most appreciated. I have all of the service record for the car since new as well as the original window sticker, manual and multi-page color brochure from BMW that featured the limited edition"S" Type.....very sad...almost like a death in the family...needless to say that my son feels very badly about the whole experience and learned a very valuable and costly lesson about driving during the first rain of the season when some road surfaces turn to butter. My name is Greg and I'm from the Boston area. My wife and I have 5 BMWs consisting of a 83 320i, 86 325e, 87 325ic, 2001 325i and a 2001 330ci. We live in the Boston area and are huge BMW fans. I got my 320i from a local dealer who received it on trade. It had no brakes, lousy paint, shot water pump, and gross interior. I was always a e30 fan and didn't like the e21s, until I drove one. Loved it. Needless to say I got the car very cheap and ended up selling it only a few months later. I missed the car so much that I actually bought the car back. I completely revamped the interior with cloth recaro seats, new rugs, door panels, euro a/c console, euro bumpers, and much much more. Had it repainted and drove it everyday last summer. Car has some idling issues now but still gets out about once a week. Hopefully the pictures work. Love the CCA page and hope to get to know some other diehard e21 fans. Actually posted outdated picture of the interior. I recently upgaded to cloth recaro... attached is a new picture. Really sorry to hear about your E21! Glad to hear your son was okay. I had the same learning experience in high school on a wet day. Didn't do much damage to the curb I hit , but the front suspension on the pass side had to be replaced on my dad's fairly new VW at the time. I hope you find a home for your e21. It is just too nice to crush! Also, a picture of the stainless steel exhaust my friend and I made. Just a note on Polyurethane, the squeak like hell, all the time. BMW are high quality and last a long time, and they don't squeak. A friend of mine just bought an E30 M3 and it has poly bushings, need less to say, he is swapping them out for factory bushings. It really does sound awful. Un-lubricated polyurethane squeaks. I bought a lubricant that will shut it up. Even if it did squeak, I can put up with it. The difference (and longevity) of poly-u vs. rubber is like night and day. I'm using shore 90A too, which might make a difference - any idea what he used? I am not sure what he has, nor does he, as he bought the car with them in. He tried lubricating them with no luck. I know many prefer poly, just wanted you to know my experience. Factory rubber are very durable and easier on the car when driving on the street, IMHO. The frame, steering, and suspension components will hold up to polyurethane just fine. Poly-u is much "harder" than rubber, but relative to other materials it's still fairly soft - and it's still much softer than the aluminum bushings that some people use. It's also much more resistant to oil deterioration, which is great. Between the noise from the M10 and the turbo, I'm sure I can manage a little squeak. I'm sure I can manage a little squeak. I am sure you can! Just wanted to let you know my experience. Looks like a great project and an awesome car. The project is always half the fun, but I am sure you can't wait to get it on the road. I can't wait to test out the new suspension and crank up the boost. I've been running at just 5 psi for a while, because it doesn't have an intercooler - but I'm in the process of installing water/meth injection, which should be more than enough to get me going to about 15 psi. I did one quick 15 psi run on the throttle back a few months ago - that turbo is LOUD. My old bushings were crap, and my suspension setup was designed more for comfortable driving than anything else. It will handle competently different when it's back on the ground, and sit a little lower too due to my new springs. I own two E21's, a US-Spec 1983 320i and an Euro 320/6 Baur. Love 'em both! 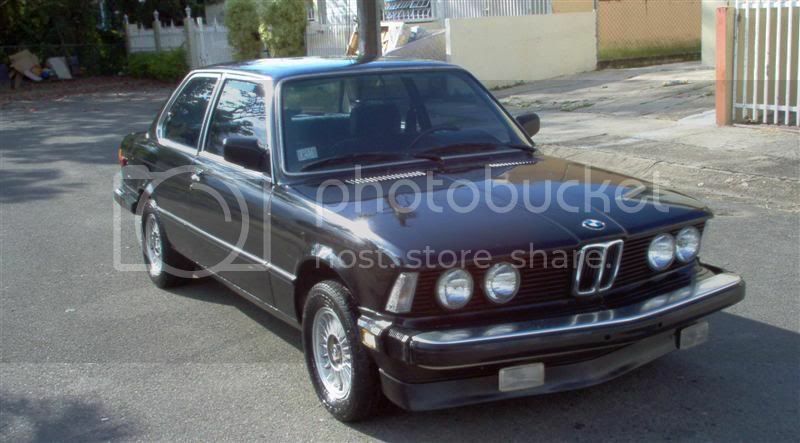 [QUOTE = HarryPR; 28649] Tengo dos E21, un US-Spec 1983 320i y un Euro 320 / 6 Baur. Love 'em ambos! Saludos, Oscar! Yo tambien estuve en el Oktoberfest, aunque fue solo en la actividad en Road Atlanta el viernes y el sabado. Una pena que no nos comunicamos antes para habernos conocido! Los rines Alpina estan un poco dificil de conseguir en las Americas. Tal vez en Alemania sea mas facil. Sin embargo, en el foro de E21 de Bimmerforums a veces se ven a la venta. Yo tengo un juego de rines Hardy & Beck, quienes fueron los representantes de Alpina en el oeste de los E.U. Son parecidos a los Alpina, pero son de tres piezas. Pienso instalarselos al Baur eventualmente. estoy viendo si compro las replicas que venden en Bavauto, tu que piensas? Nunca he visto personalmente los de Bavauto, pero ellos llevan mucho tiempo en el mercado con una buena reputacion, y no creo que la arriesguen vendiendo un producto de inferior calidad. En verdad los Alpina son los que mejor se le ven a los E21. Si decides comprarlos envia fotos! Para que te animes, mira este 320/6 a la venta en Bimmerforums. Se ve muy bien!